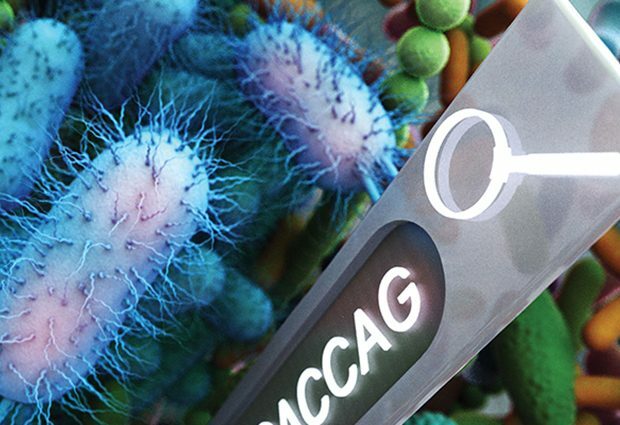 Researchers at EMBL’s European Bioinformatics Institute (EMBL-EBI) have combined their knowledge of bacterial genetics and web search algorithms to build a DNA search engine for microbial data. The search engine, described in a paper published in Nature Biotechnology, could enable researchers and public health agencies to use genome sequencing data to monitor the spread of antibiotic resistance genes. By making this vast amount of data discoverable, the search engine could also allow researchers to learn more about bacteria and viruses. The amount of sequenced microbial DNA is doubling every two years. Until now, there was no practical way to search this data. This type of search could prove extremely useful for understanding disease. Take, for example, an outbreak of food poisoning, where the cause is a Salmonella strain containing a drug-resistance plasmid (a ‘hitchhiking’ DNA element that can spread drug resistance across different bacterial species). For the first time, BIGSI allows researchers to easily spot if and when the plasmid has been seen before. Google and other search engines use natural language processing to search through billions of websites. They are able to take advantage of the fact that human language is relatively unchanging. By contrast, microbial DNA shows the imprint of billions of years of evolution, so each new microbial genome can contain new ‘language’ that has never been seen before. The key to making BIGSI work was finding a way to build a search index that could cope with the diversity of microbial DNA. Read the full press release at EMBL-EBI News.